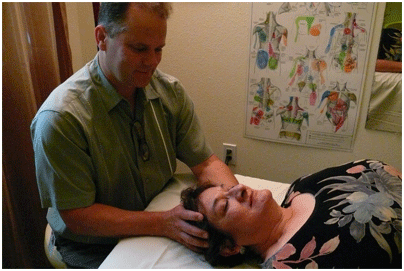 The mission of the UNM Center for Life (CFL) is to provide customer-oriented, preventative services and medical care in a healing environment by integrating the highest standards of conventional and complementary medicine, and nurturing the intrinsic healing in the whole person – body, mind, and spirit. The Section of Integrative Medicine at the University of New Mexico Health Sciences Center offers alternative and complementary therapies in acupuncture, Ayurvedic medicine, botanical medicine, chiropractic, curanderismo, energy medicine, homeopathy, massage therapy, mind–body medicine, and Native American healing traditions. The Section provides education to members of the UNM HSC, in medical student lectures, clinics with residents, and grand rounds in family practice and internal medicine. The Section is working to include integrative medicine in the School of Medicine curriculum and has a collection of textbooks, papers, and journals in integrative medicine. The Section is actively engaged in several research projects, including medical student projects on student and faculty attitudes toward integrative medicine, complementary and alternative medicine therapies for arthritis, and issues concerning integrative medicine use in primary care clinics in New Mexico.